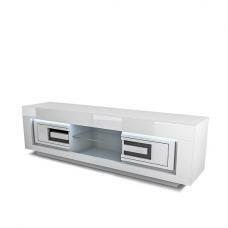 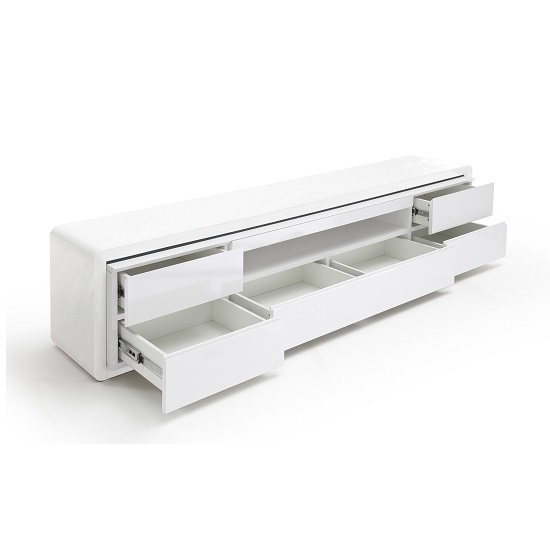 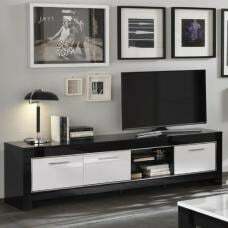 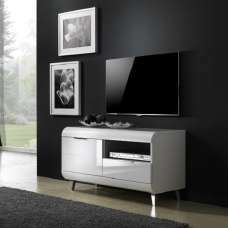 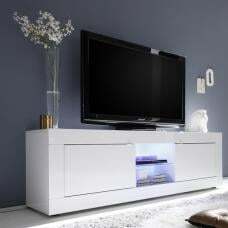 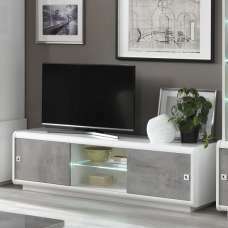 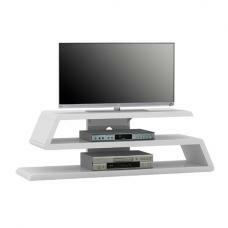 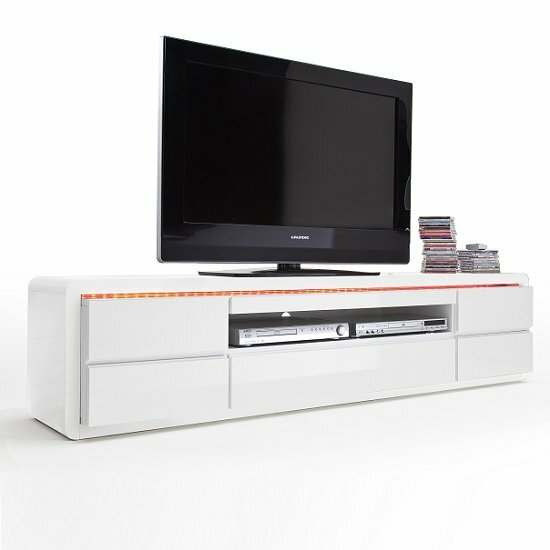 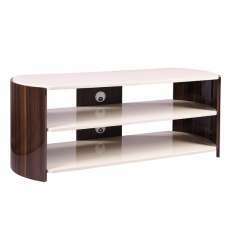 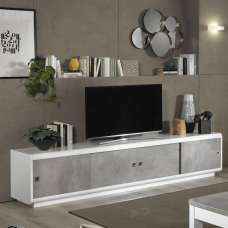 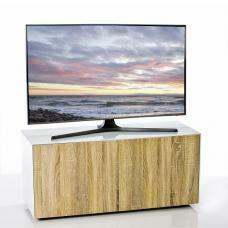 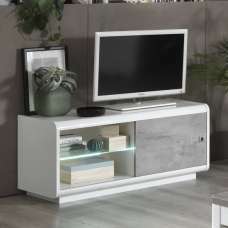 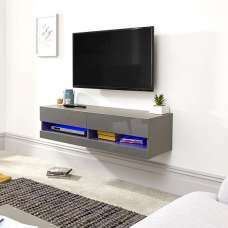 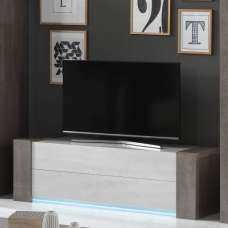 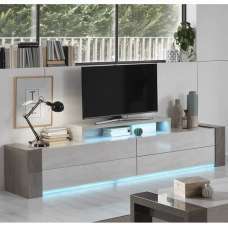 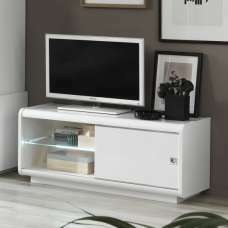 Frame Modern LCD TV Stand In White High Gloss With 5 Drawers and LED Lighting will look exemplary in your living room. 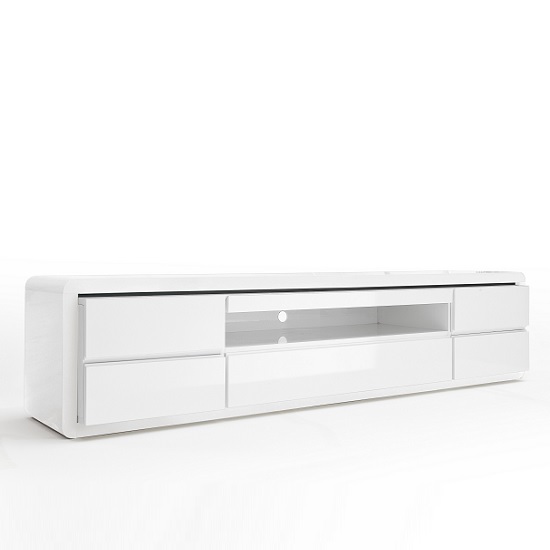 Crafted from MDF board in White High Gloss. 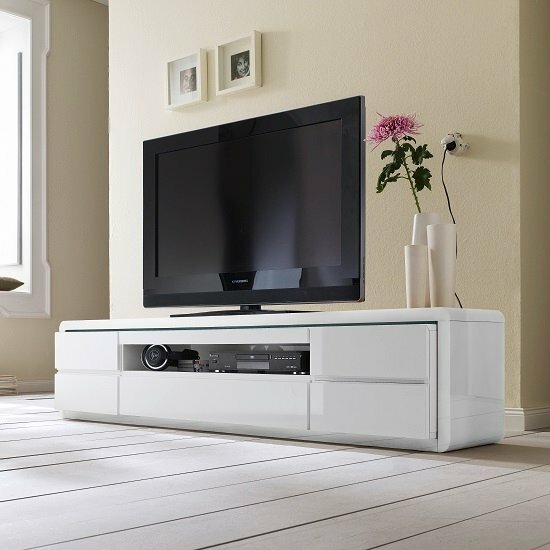 It features 5 Drawers for storage of your media equipment. 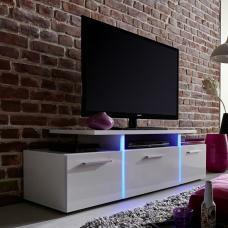 LED Lighting will add an extra elegance to the entire unit. 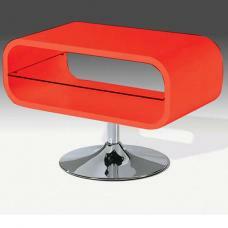 It will make a perfect stylish addition to your living room.